Off-road vehicles have a rich history, with their roots dating from the very early 1900’s with an inventor by the name of Adolphe Kegresse. He developed what is today to be considered the very first true off-road vehicles, employing the use of caterpillar style tracks that were easily adaptable to normal trucks or cars. His invention, the half-track, was a civilian military vehicle that was modified with a rear continual tracking system and regular front wheels and tires in the front. This provided the off-road capability of a tank with the handling of an automobile. Kegresse had modified a number of these vehicles to be a part of the motorcade of the Tsar of Russia in 1911. His system of flexible belted tracks was named after him: the Kegresse Track. This system was very different from the standard metal interlocked belting system generally used by heavy machinery and tanks. The Kegresse Track system was also implemented to a few vehicles of the royal fleet and the Russian military, applying them to their Austin Armored Cars. Fully tracked vehicles are more difficult to drive for regular people, so the Kegresse Track was perfect for civilian military and government use. The flexible tracks had the advantage of spreading the vehicle’s weight over a wider area, thus making it easier to navigate some of the tougher terrain found in parts of Russia, Asia, and Africa. Kegresse eventually returned home after the Russian Revolution, where he applied his flexible track system to the Citroen cars from 1921 to 1937 to be used as off-road military vehicles. With the advent of off-road tire technologies, vehicles no longer needed to be equipped with tracks. The famous military Jeep of World War II is noticeably the beginning of the civilian off-road trend in America. As the war wound down, there was a huge surplus of off-road Jeeps and other vehicles, such as the much heavier lorries. The US Army Jeeps had big, deeply treaded tires that made it easy for them to traverse the North American landscapes, which made them popular as utility vehicles.Soon, the public use of Jeeps for off-road utilities and by hobbyist became a popular US industry. And as the market swelled, so did the production of better and more comfortable off-road vehicles with a large variety of applications, including hunting, exploration, racing and as work horses in a number of industries working in rural areas. 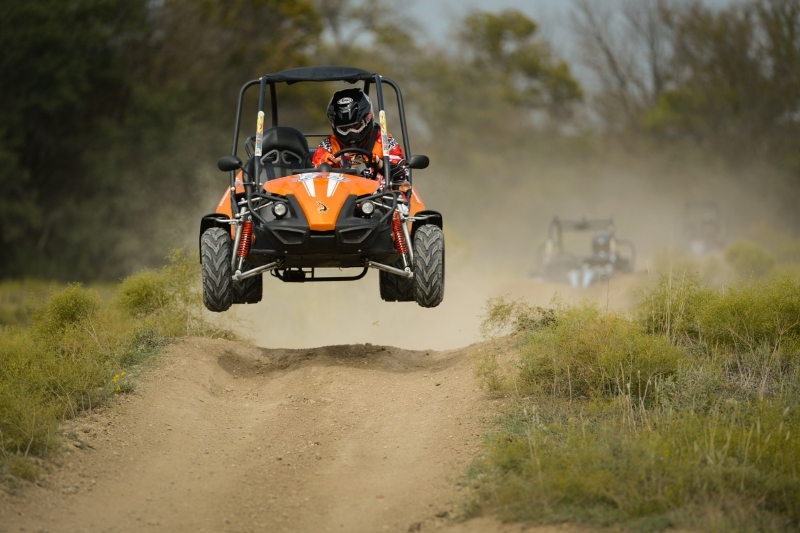 From military applications in the earliest part of the 1900’s to an enjoyable hobby today, the off-road vehicle has been, and always will be, an iconic tradition of America. If you are interested in learning more about our off-road products, please contact us today.